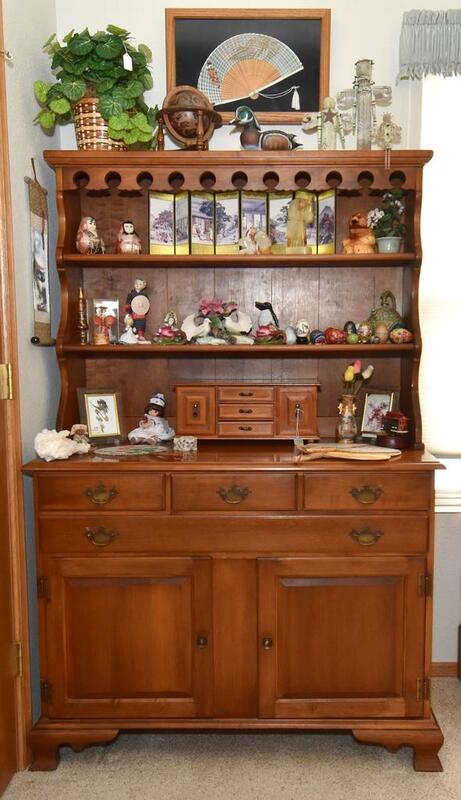 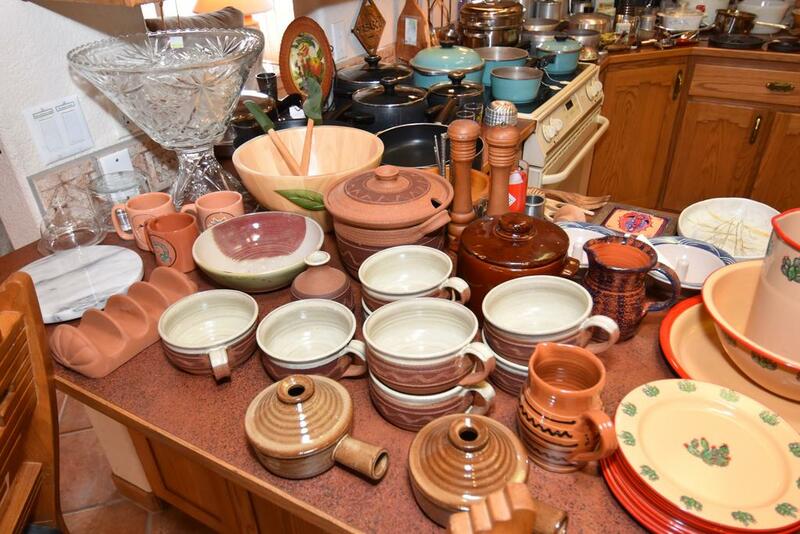 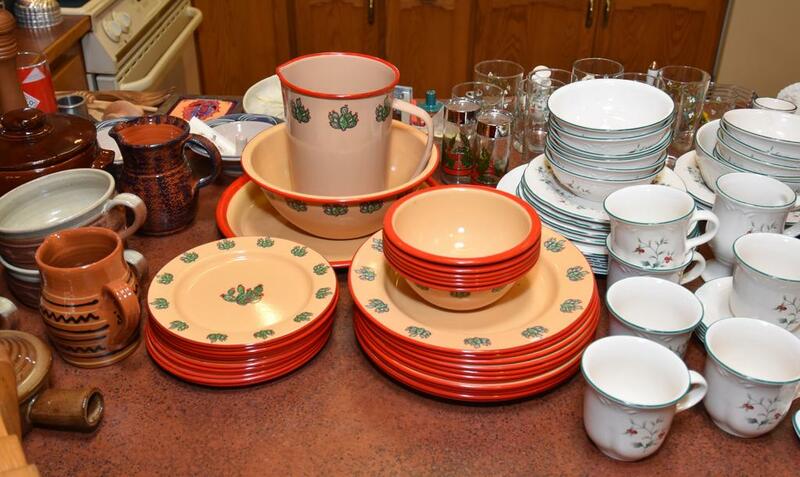 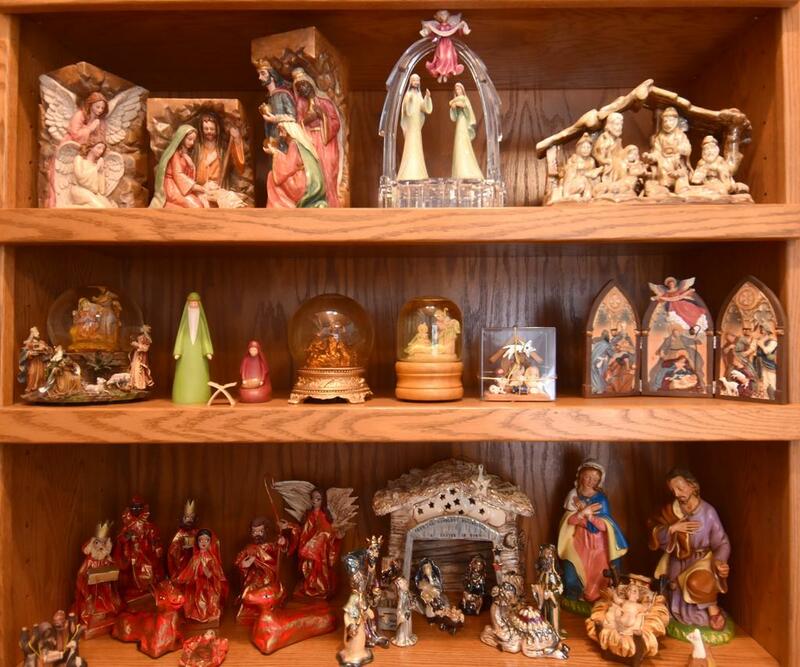 From S. Telshor, Take Fairway (East), Right on View Drive to View Ct.
A truly impressive collection. 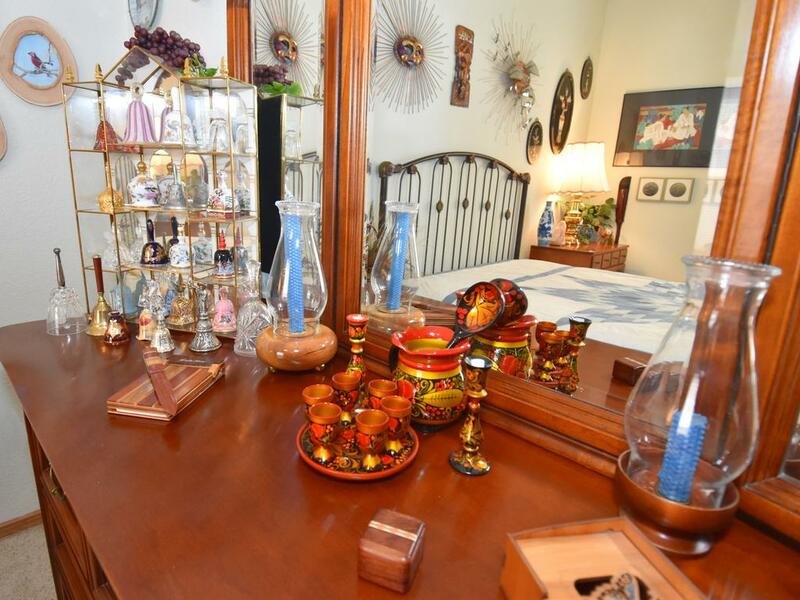 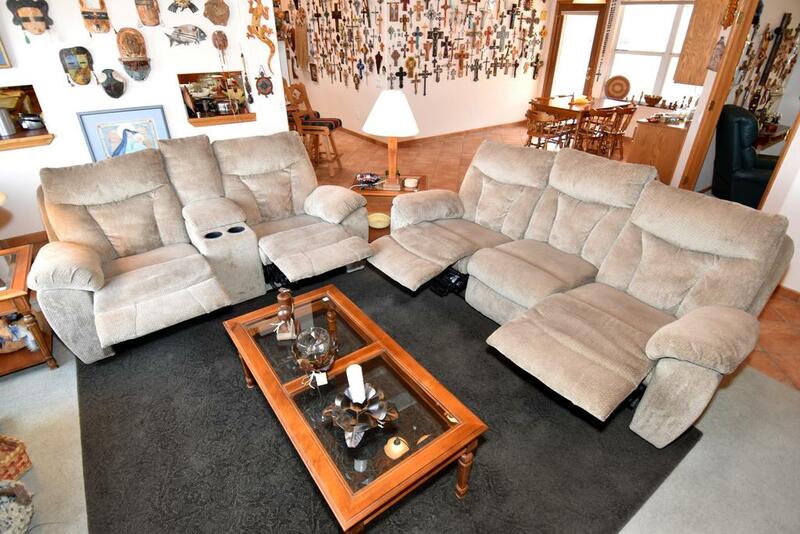 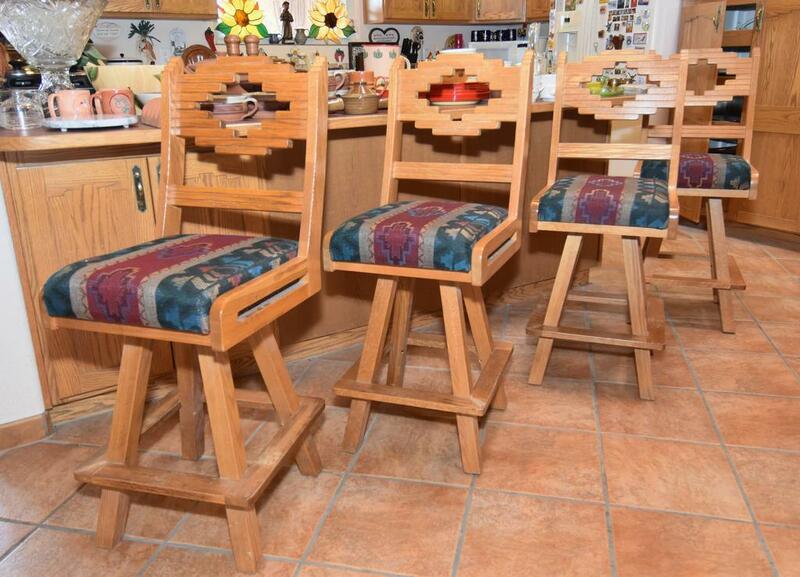 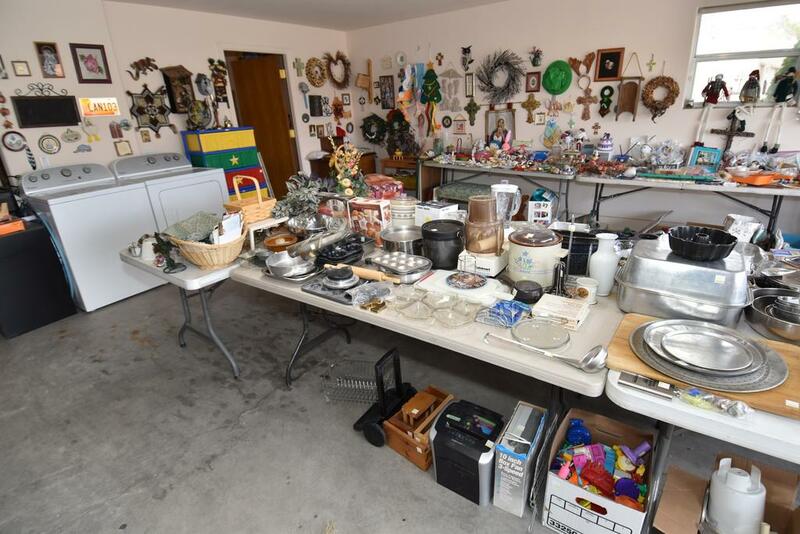 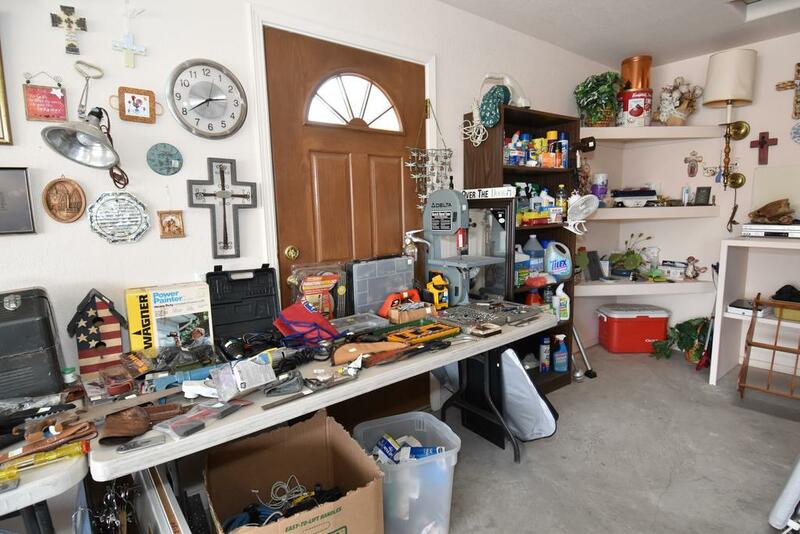 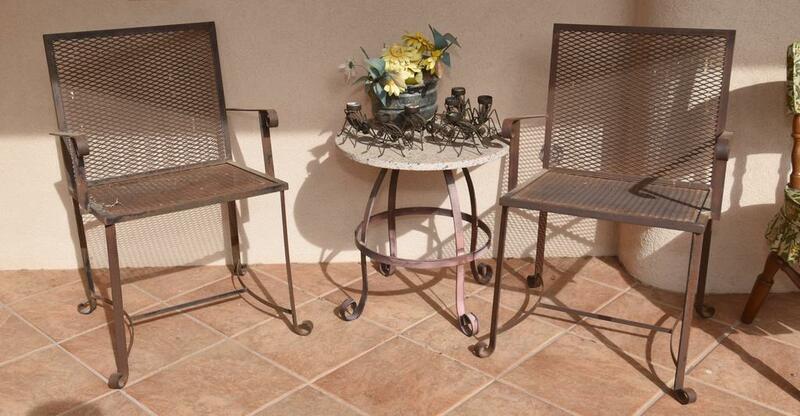 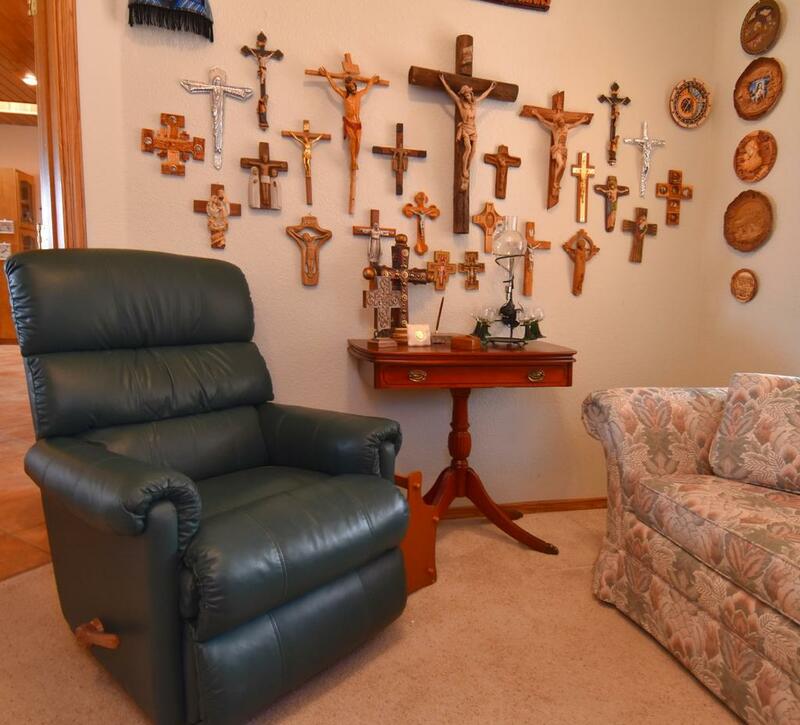 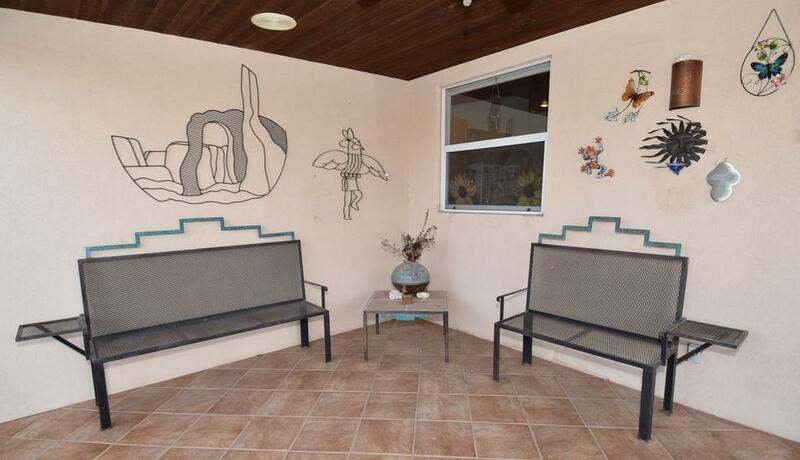 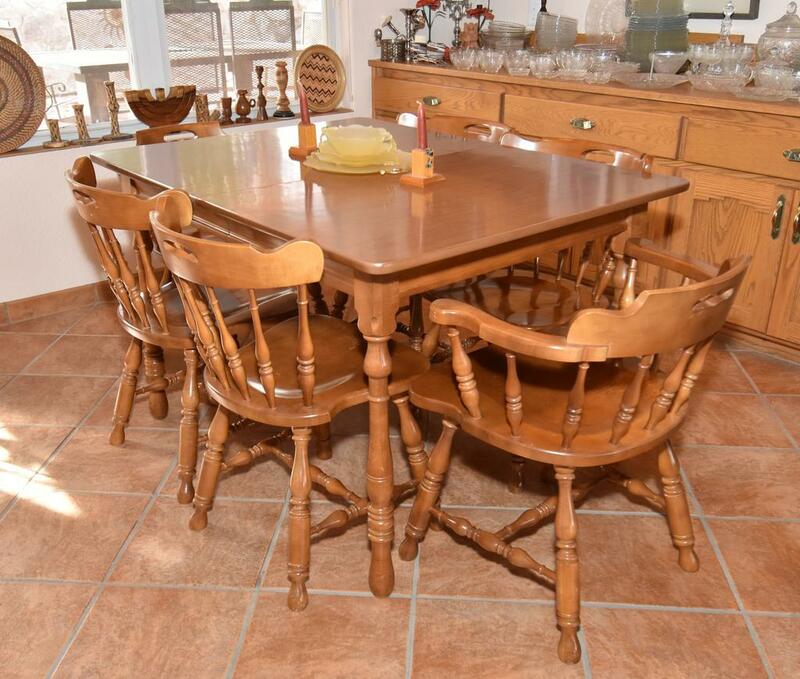 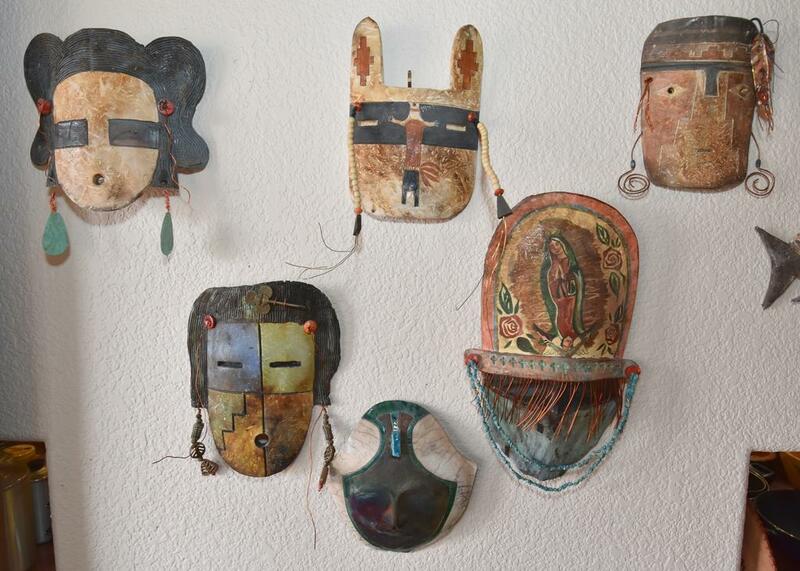 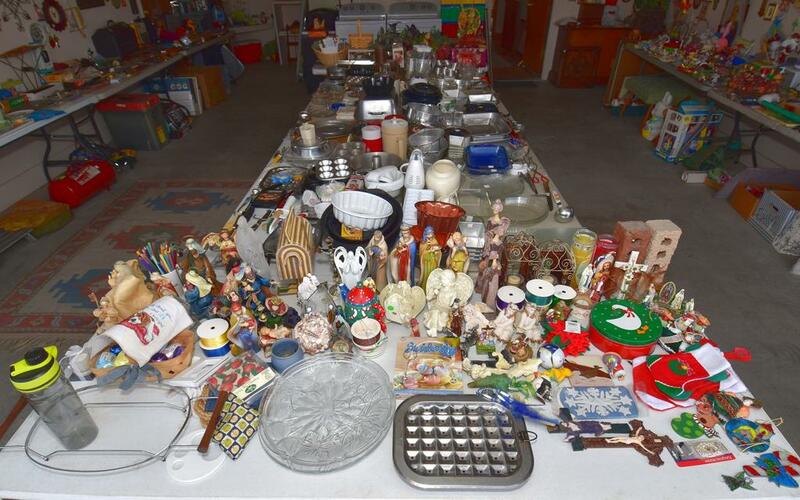 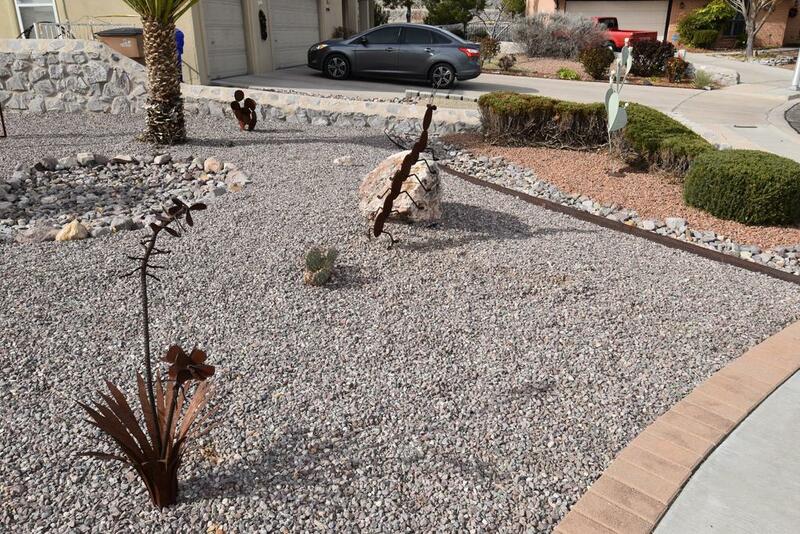 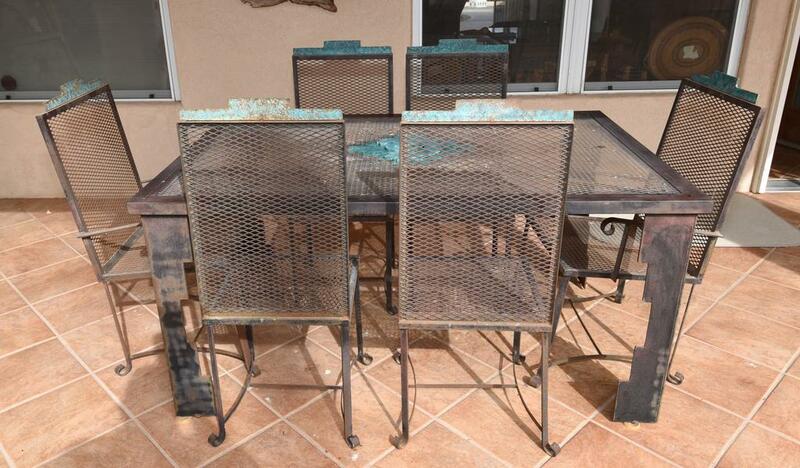 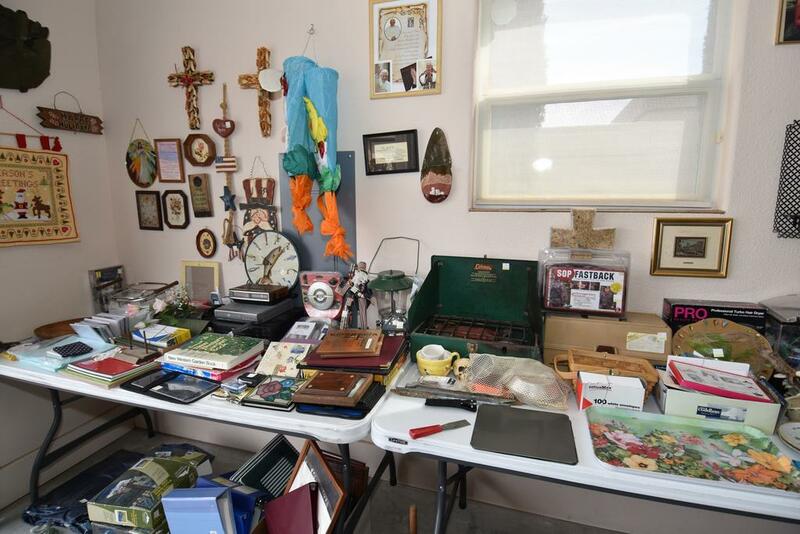 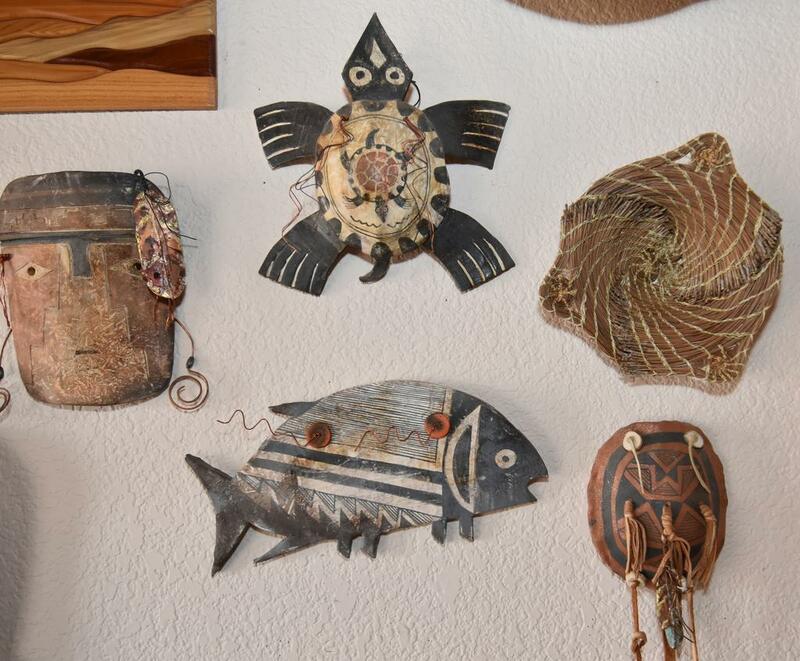 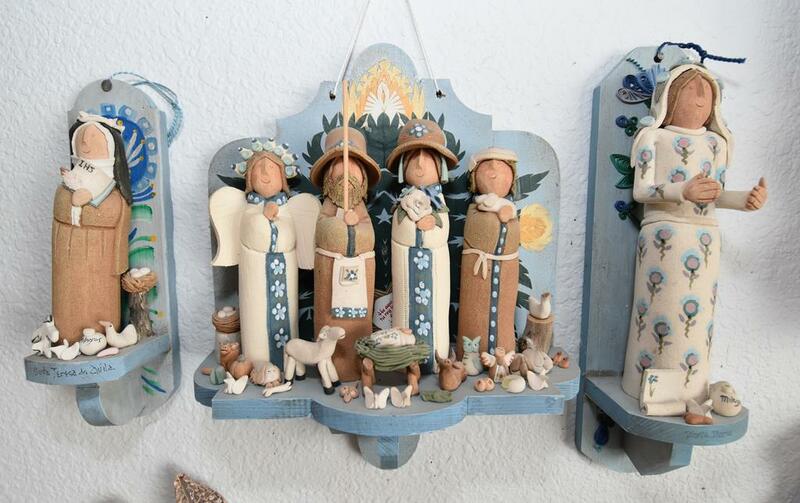 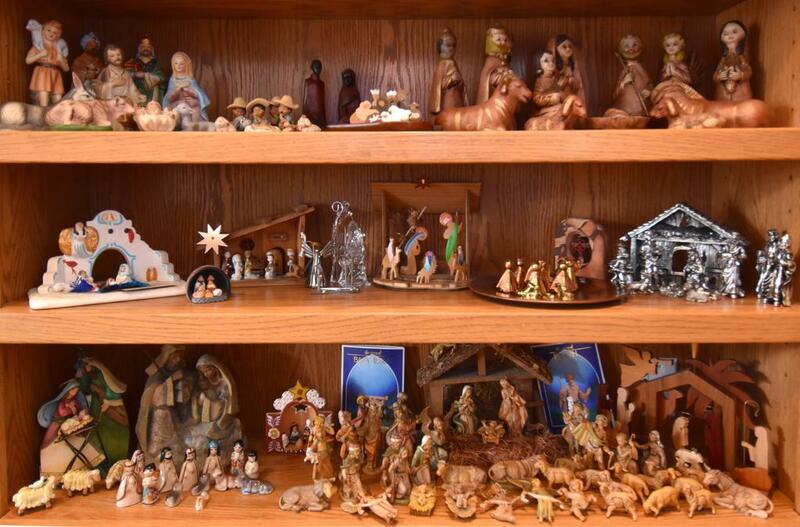 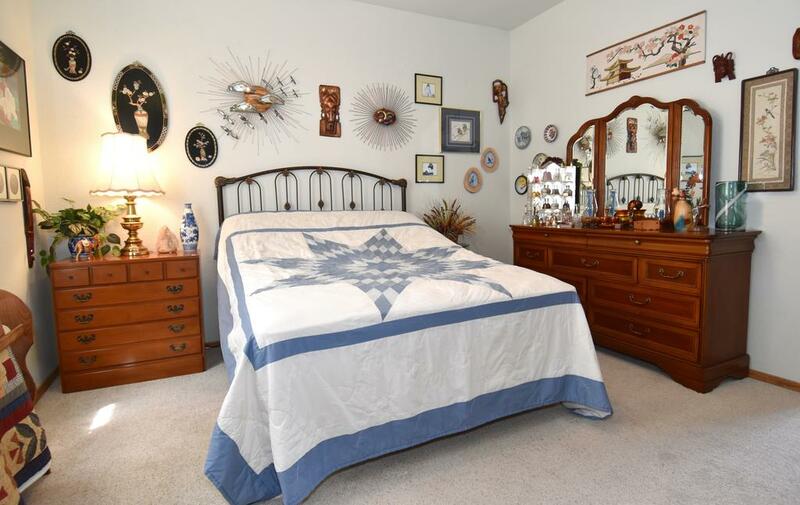 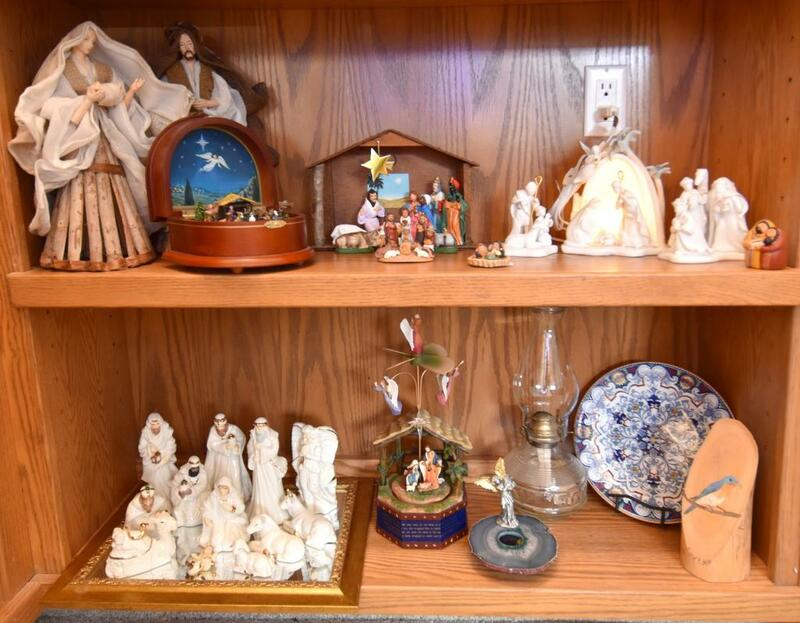 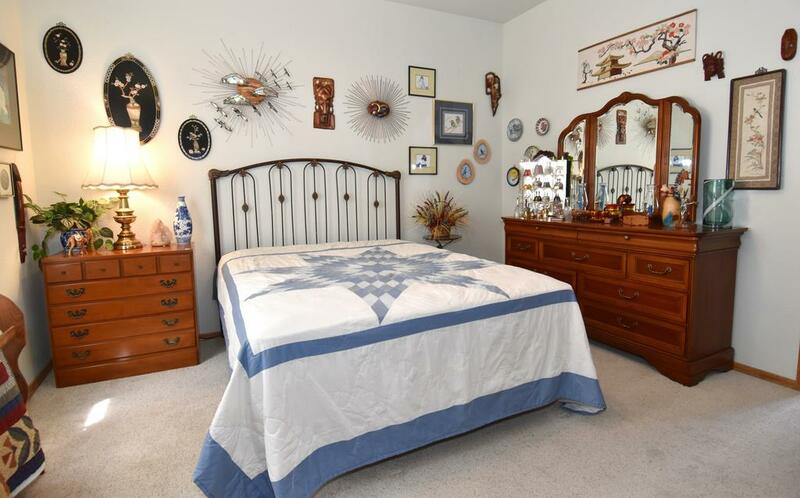 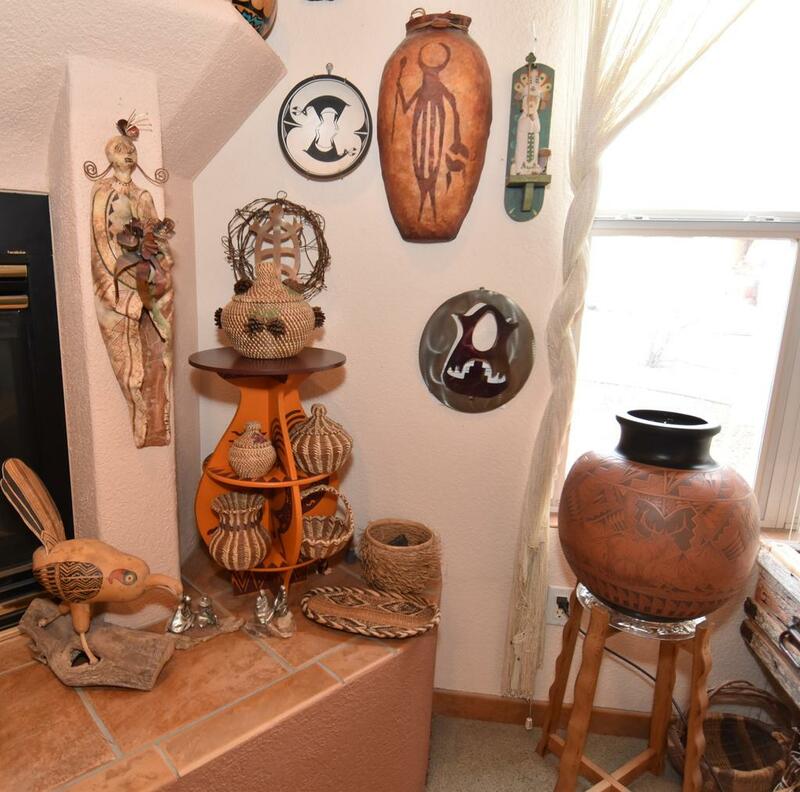 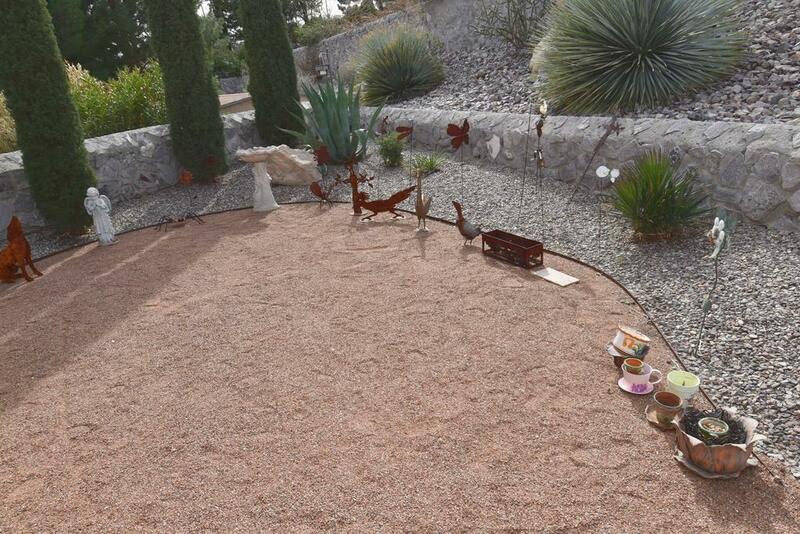 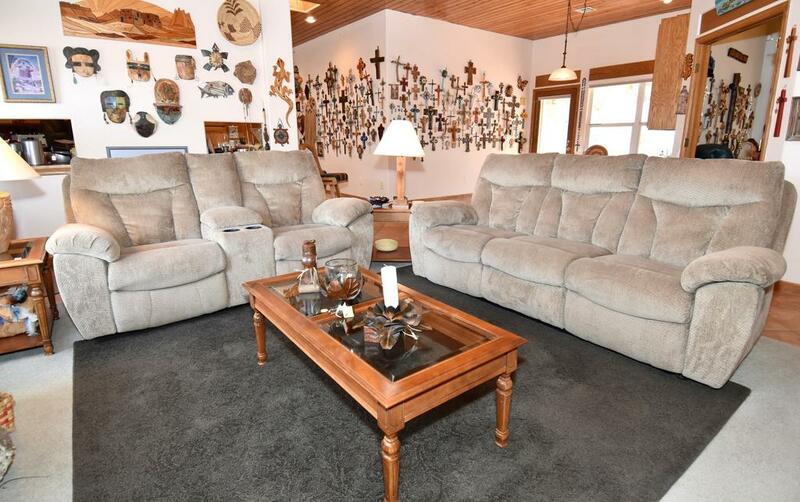 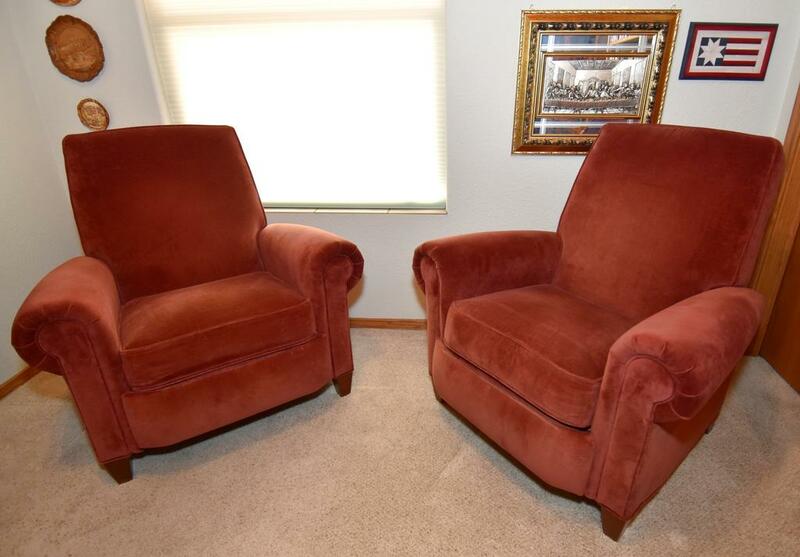 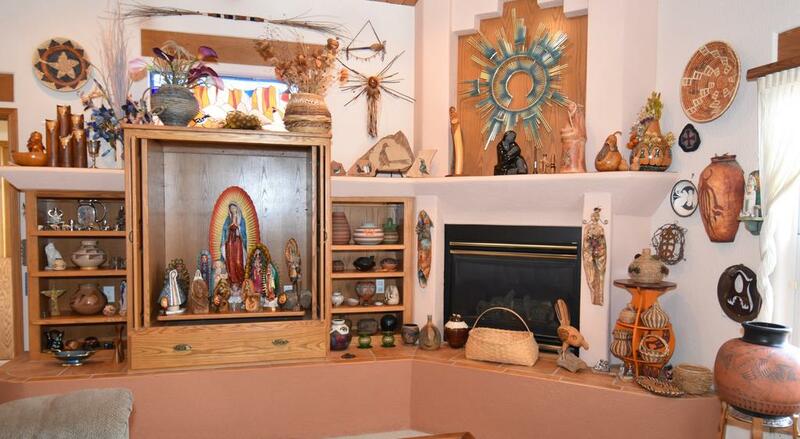 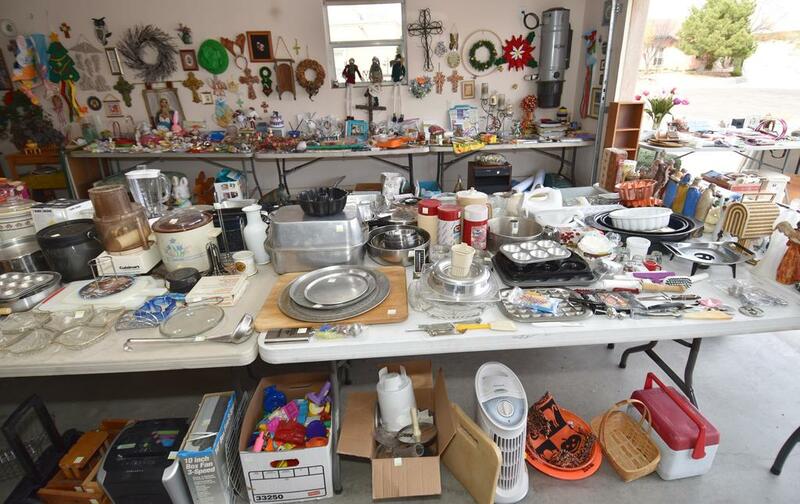 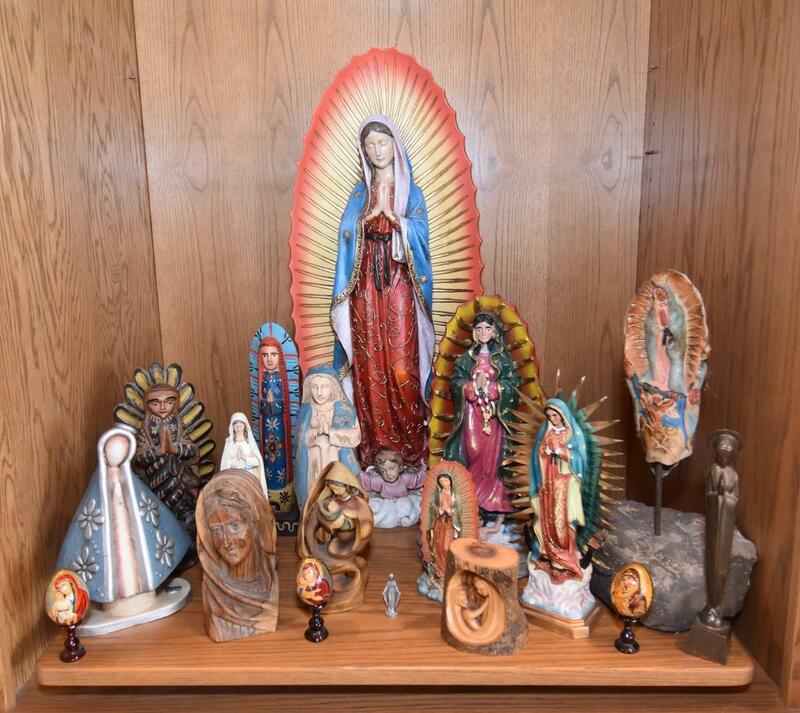 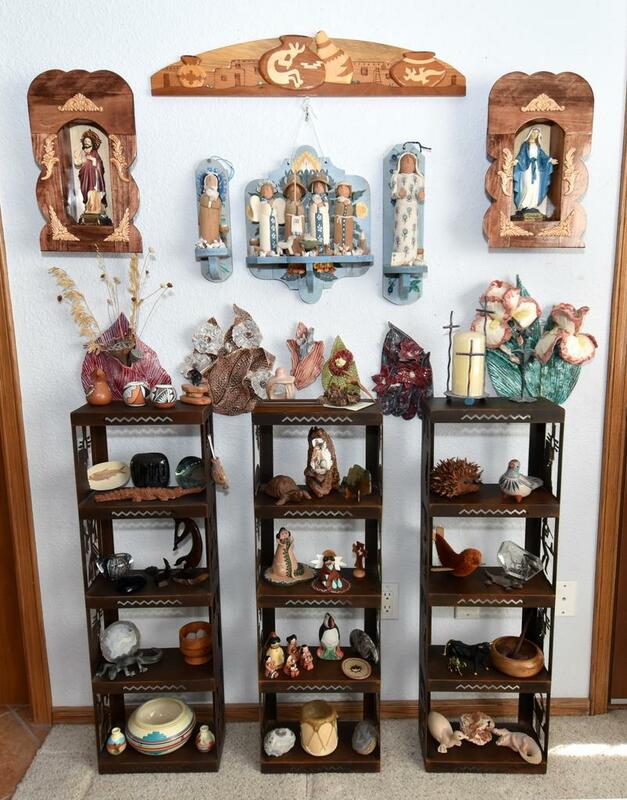 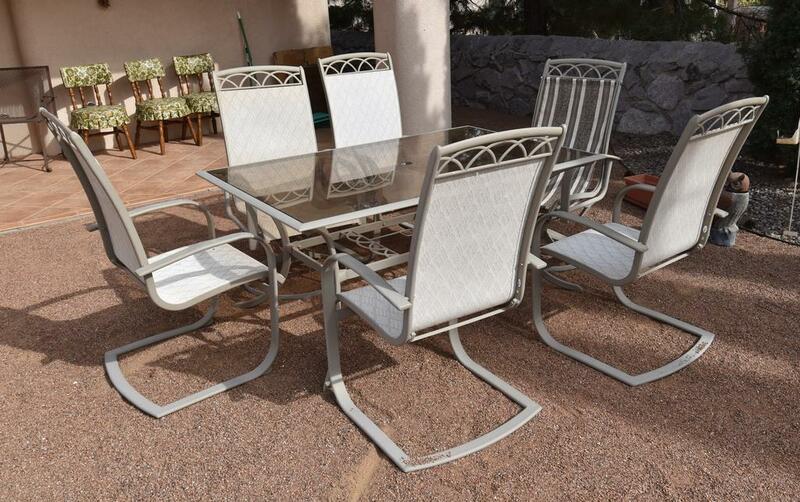 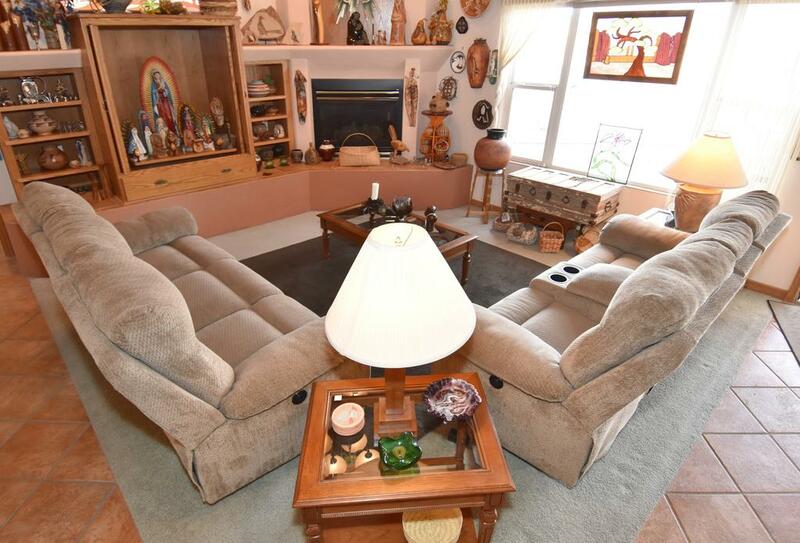 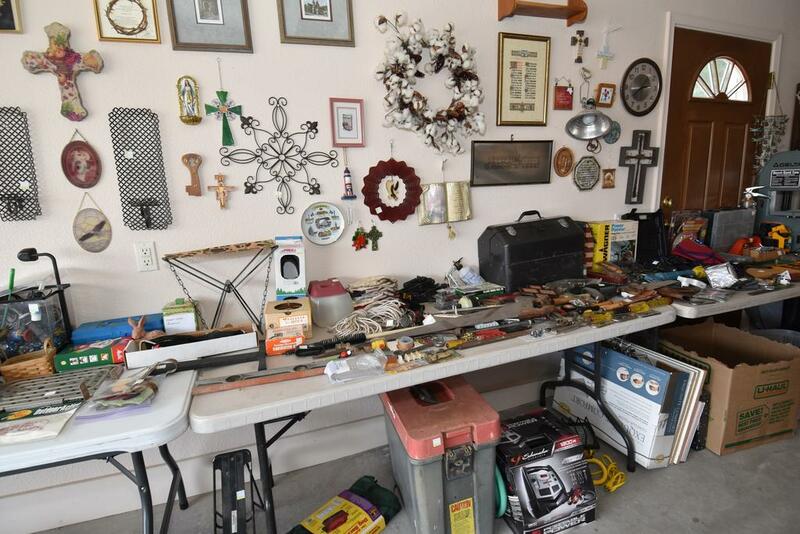 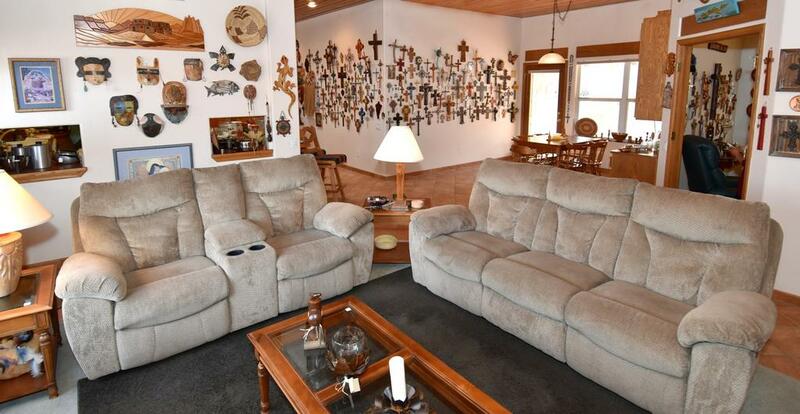 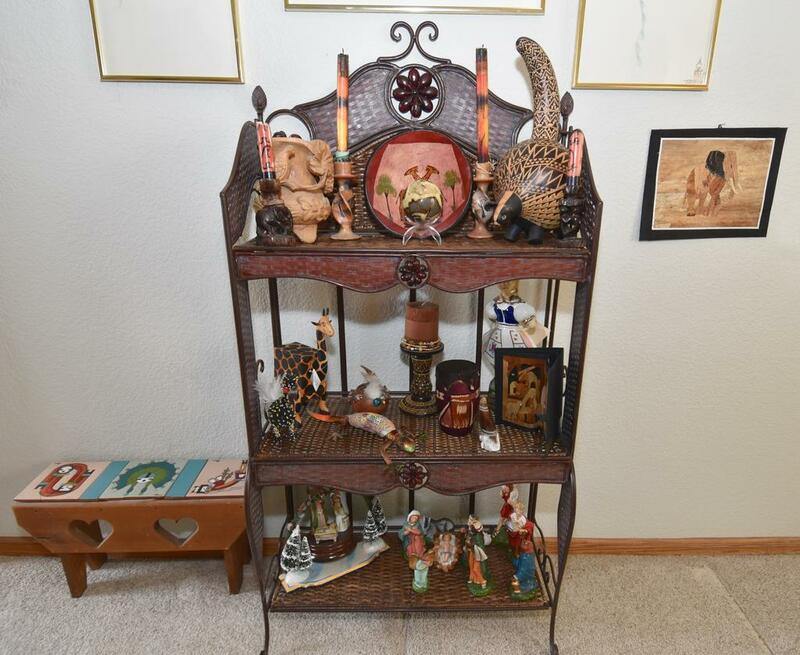 This estate features many one-of-a-kind religious artifacts. 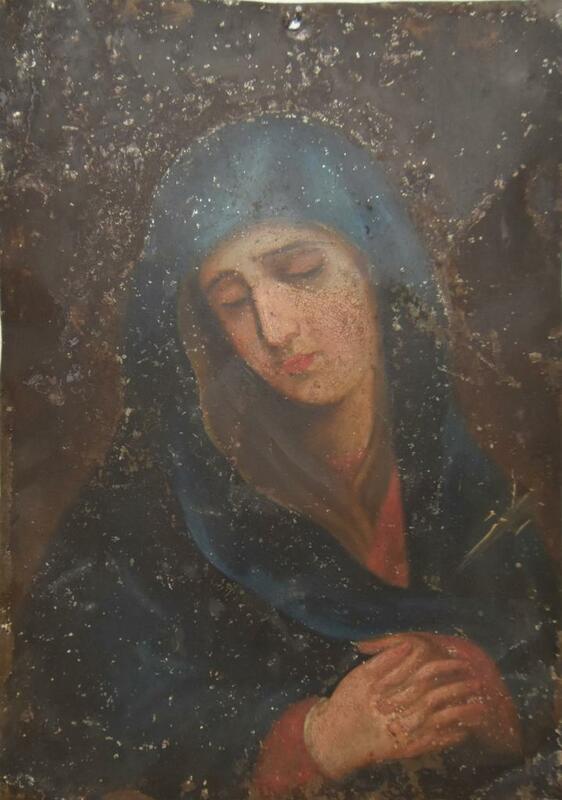 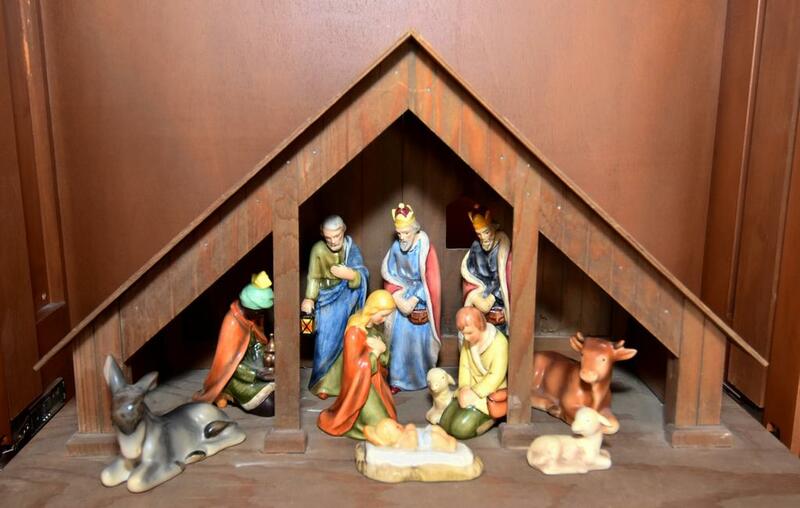 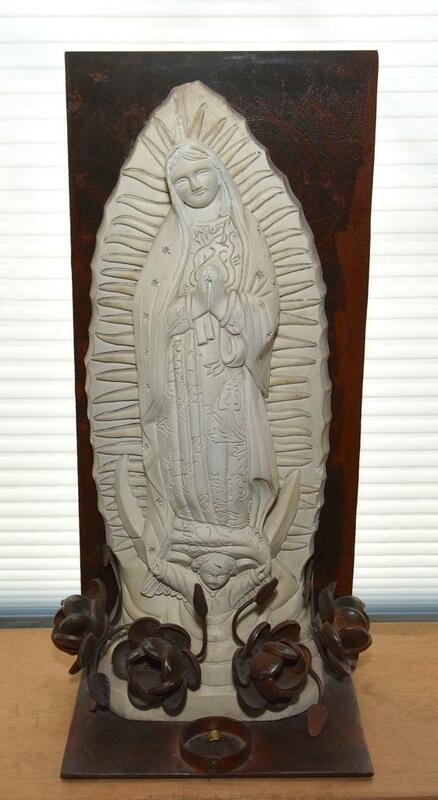 From historical religious icons to beautiful religious works of art, religious antiques, vintage crucifixes, nativities, statues, carved figurines & more! 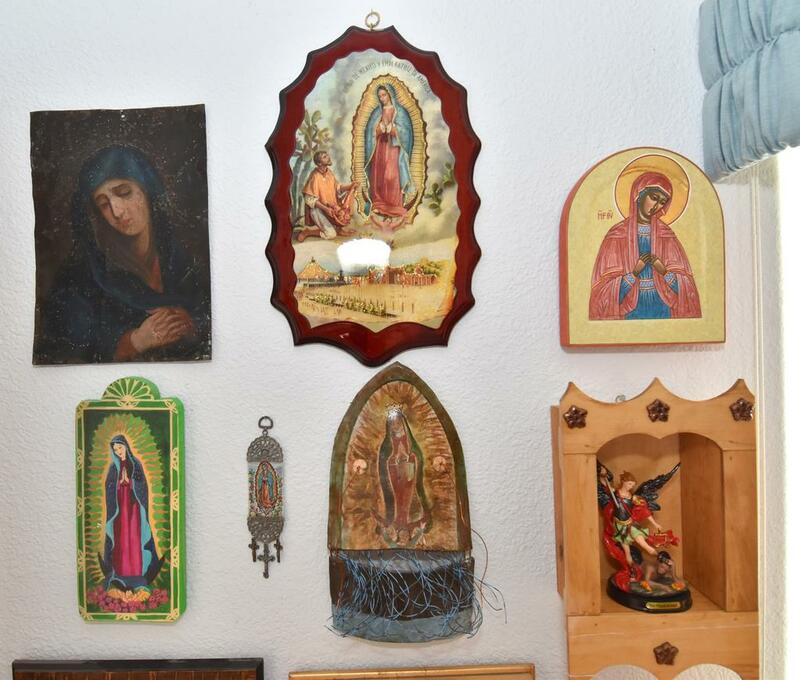 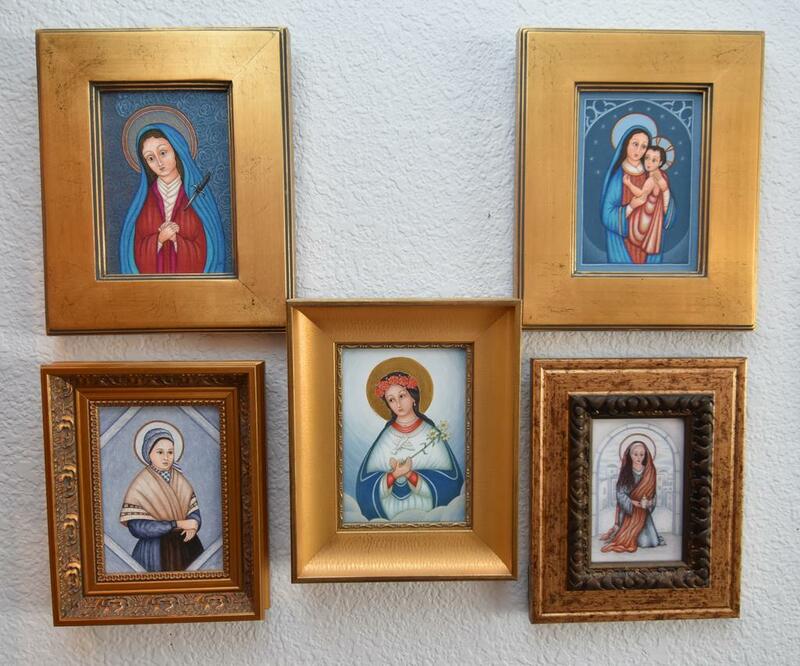 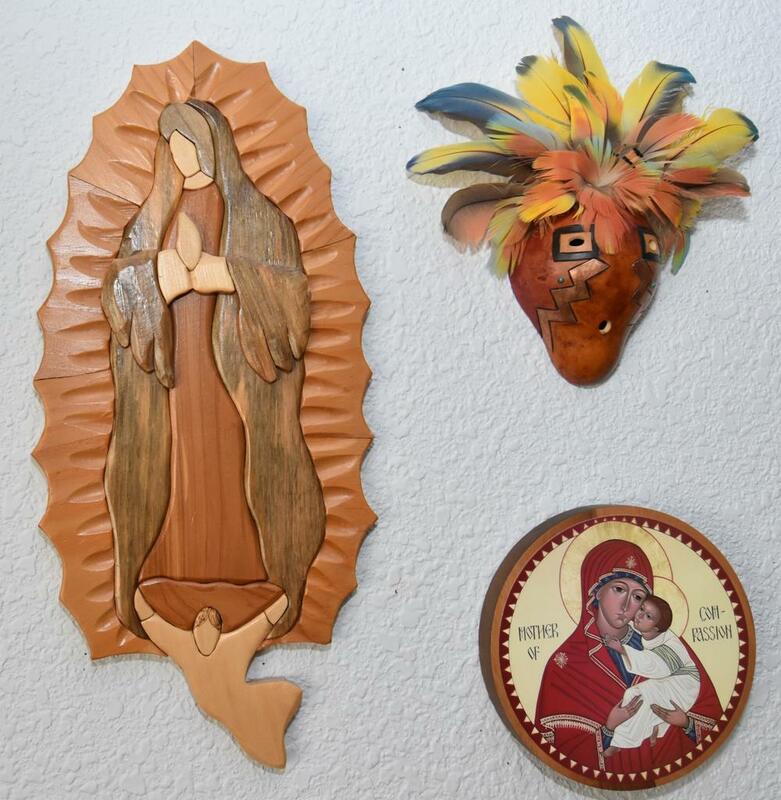 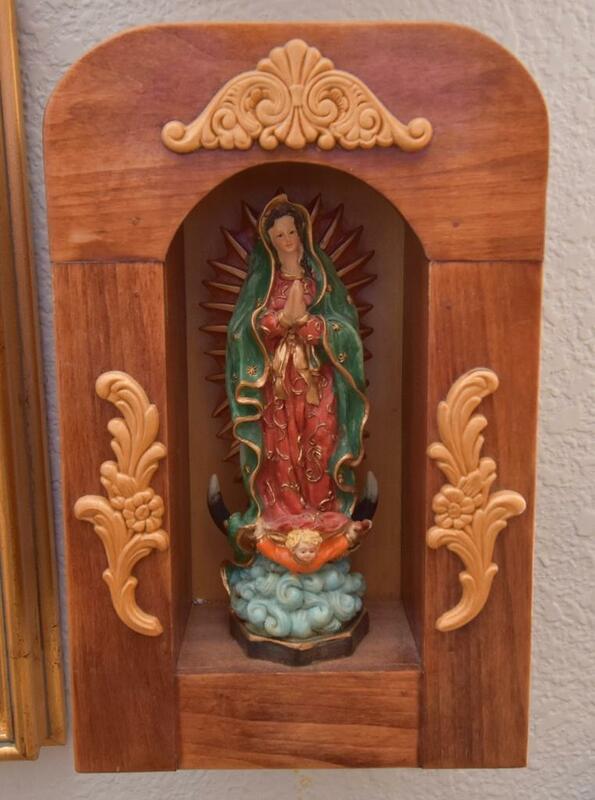 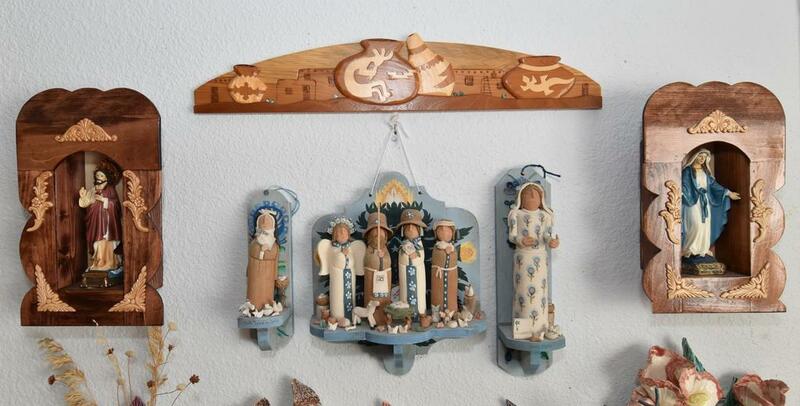 Antiques & Collectibles - Retablos, Milagros, Nativities. 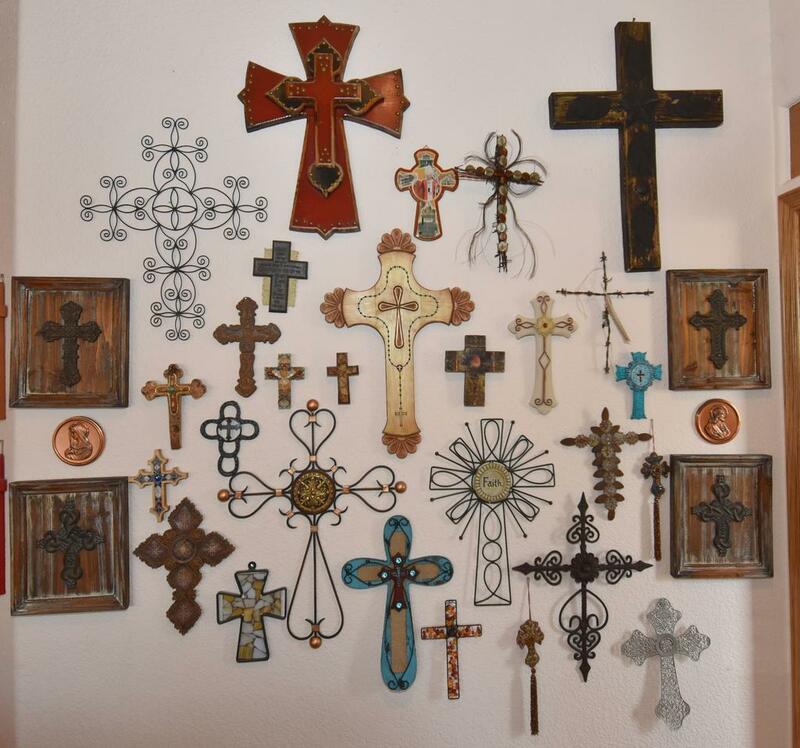 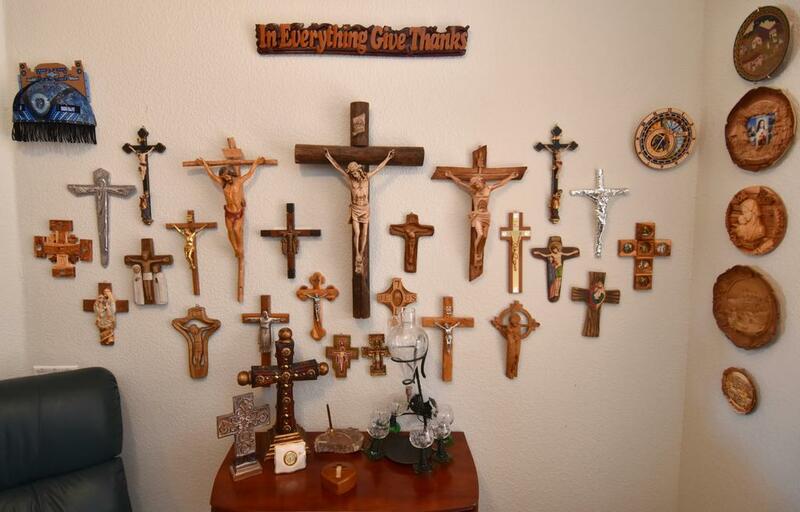 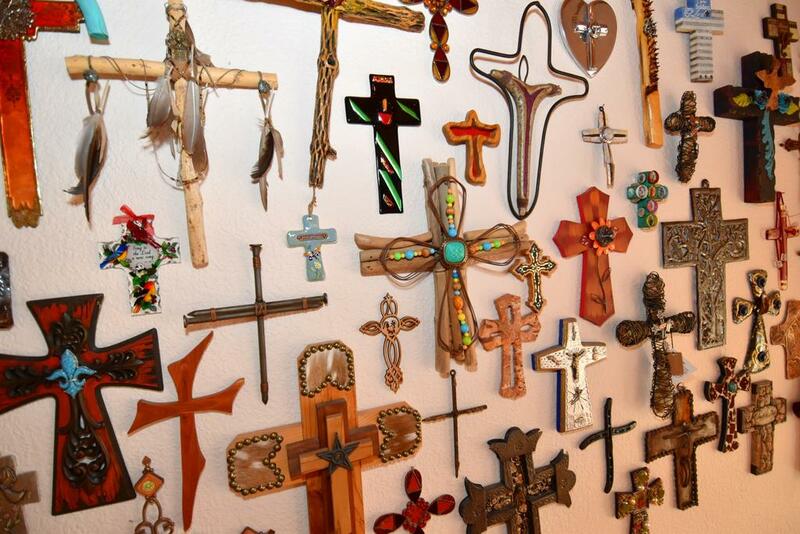 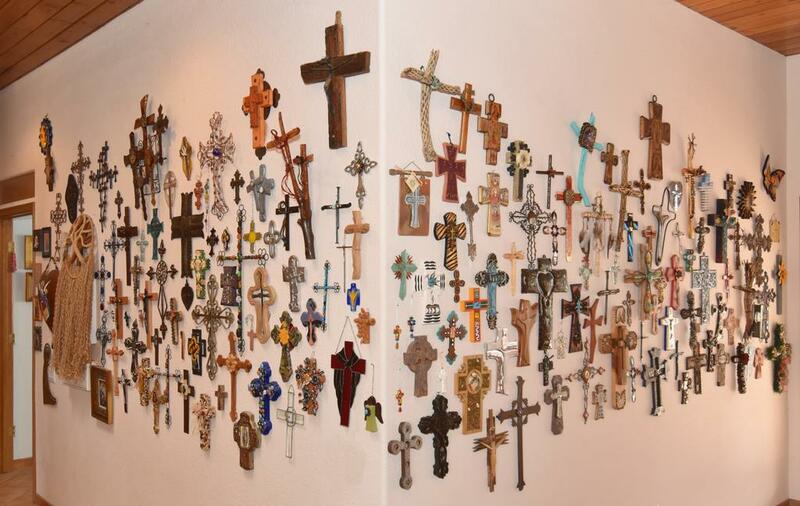 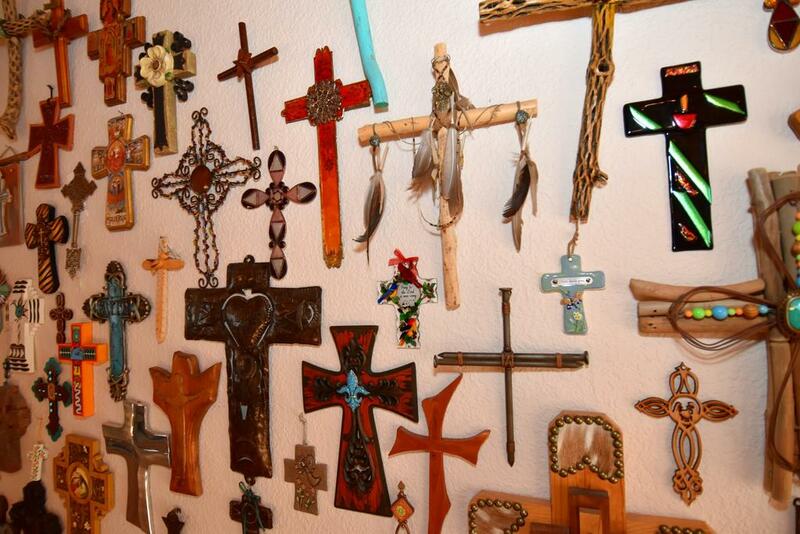 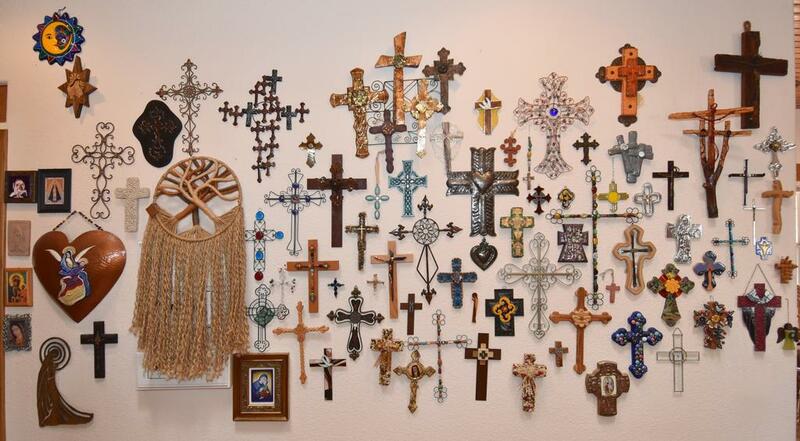 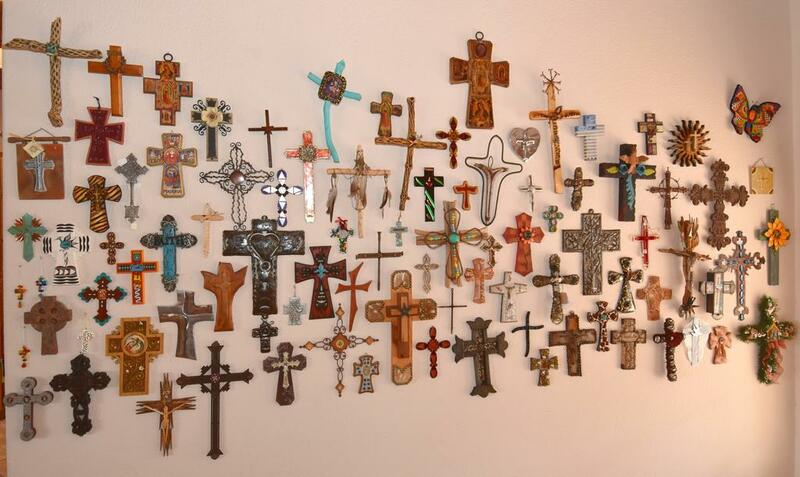 The largest collection of Crosses you've ever seen! 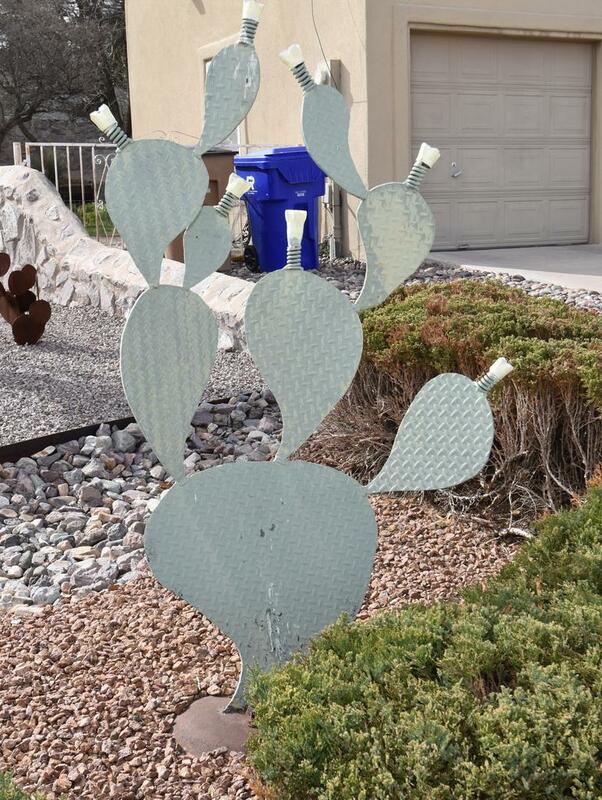 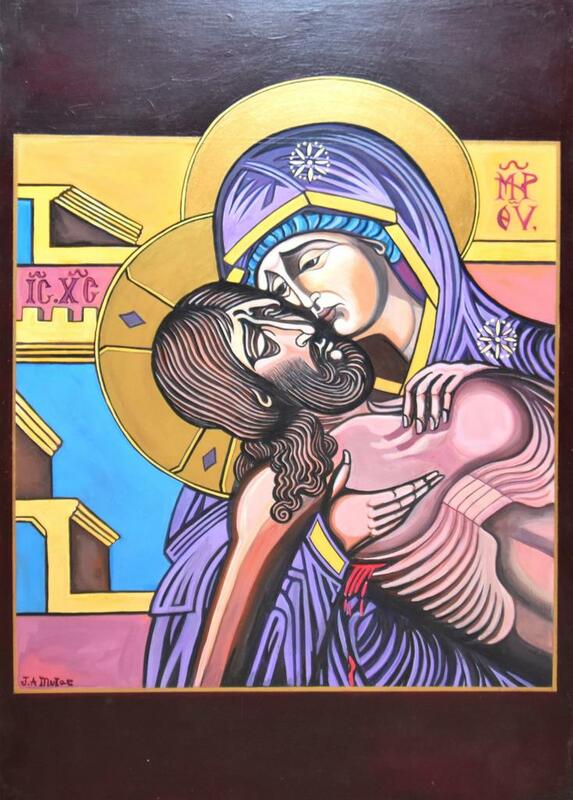 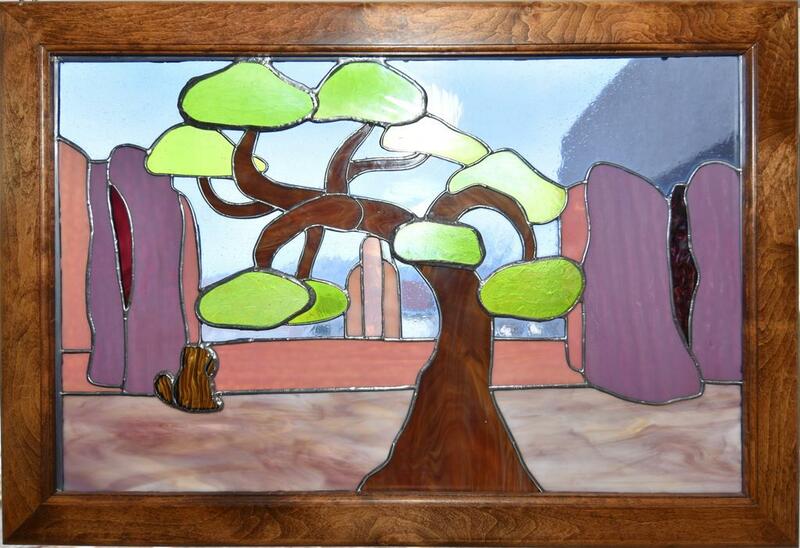 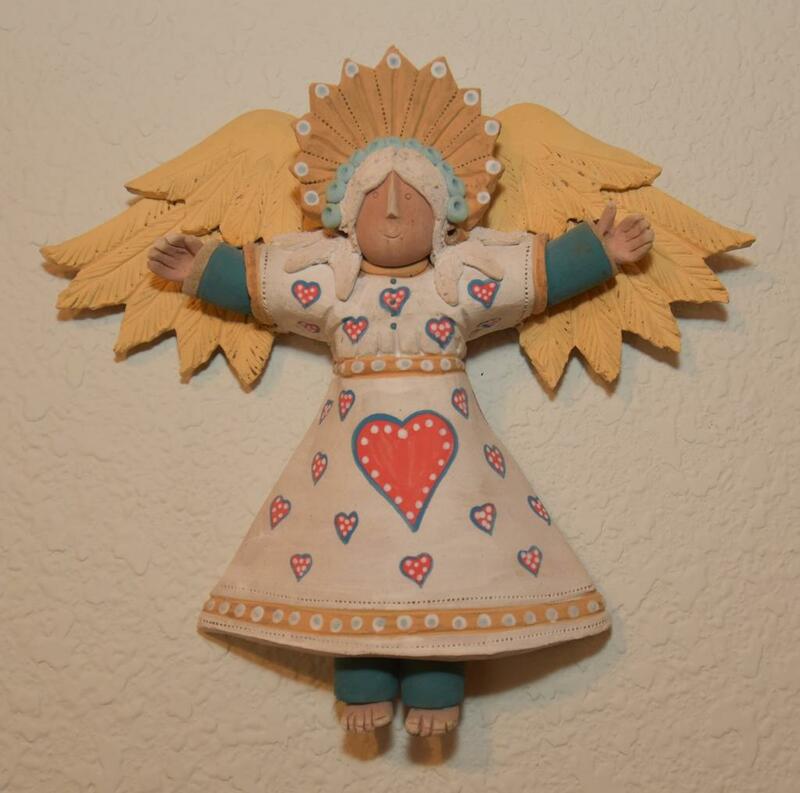 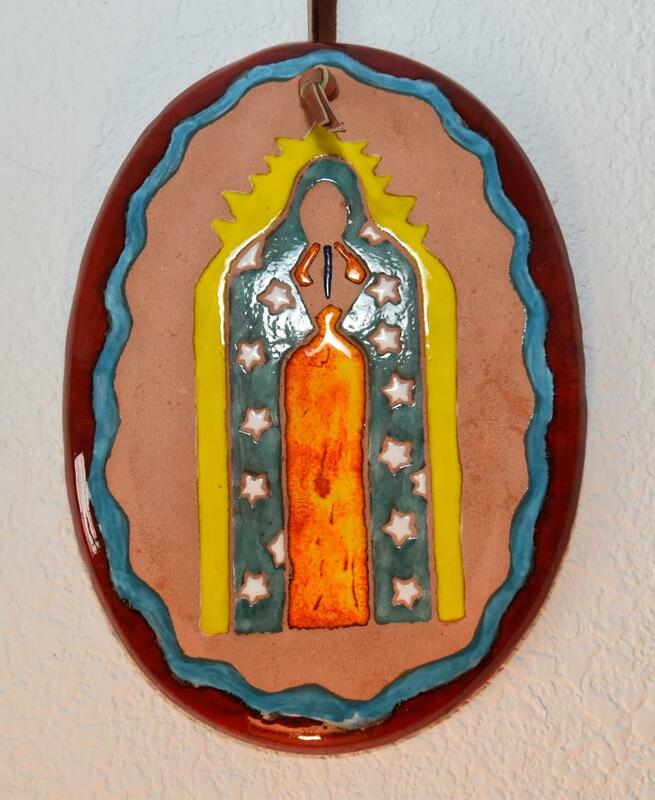 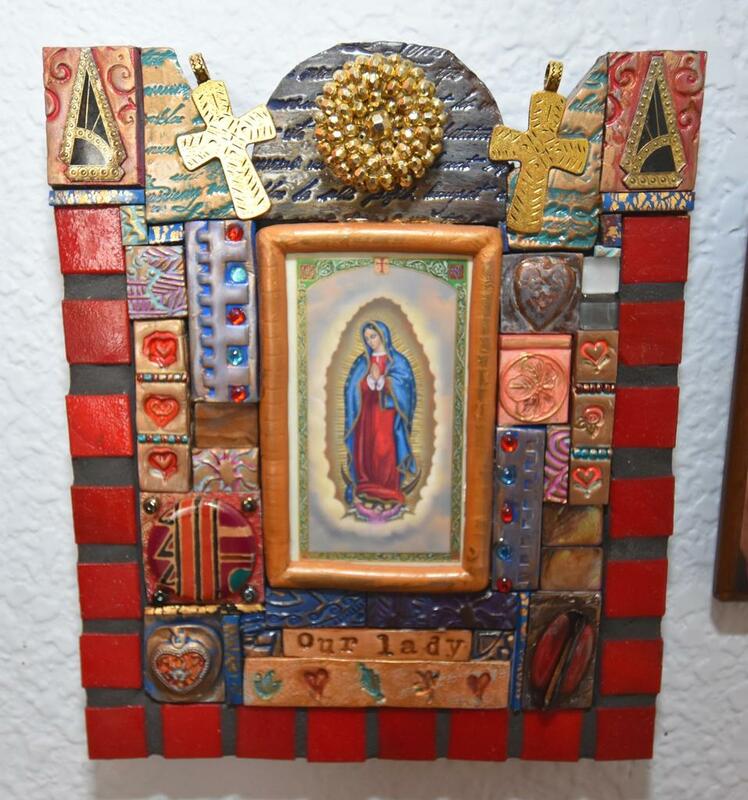 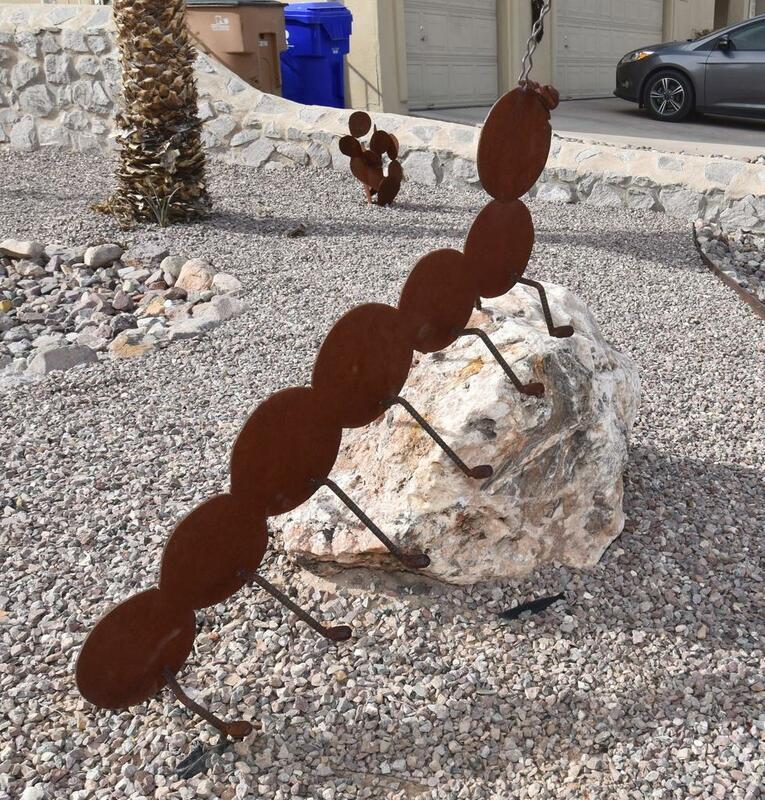 Stained glass works by Jackie Clark, Metal Sculptures by Jan Barboglio, Southwest Art, Talavera Pottery, Collection of works by Susi Bergquist, Nativities by Goebel, Fontanini, Franciscan Missions and Many Others! 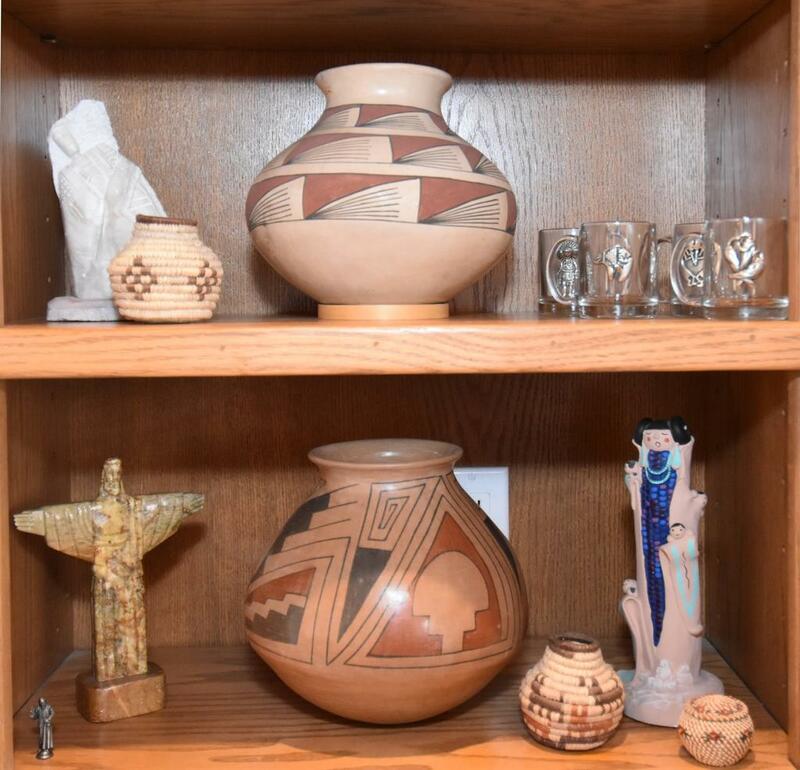 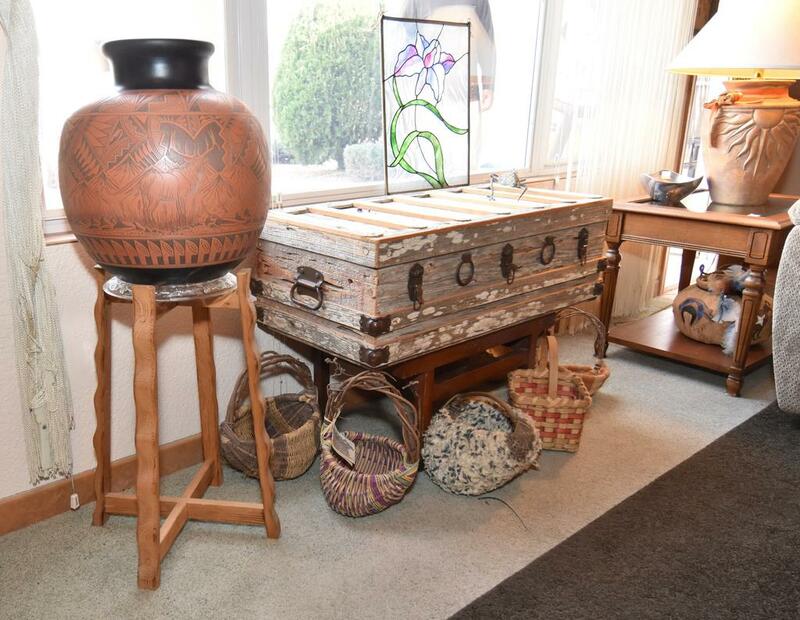 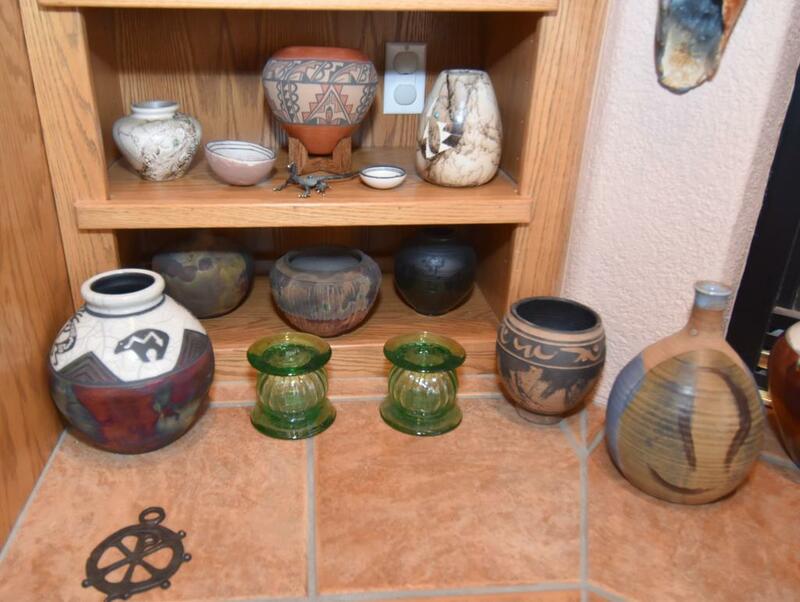 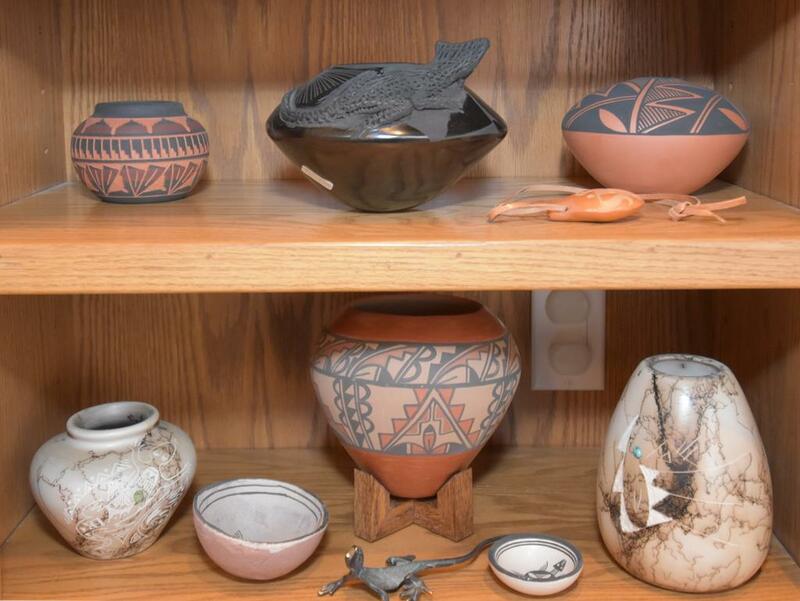 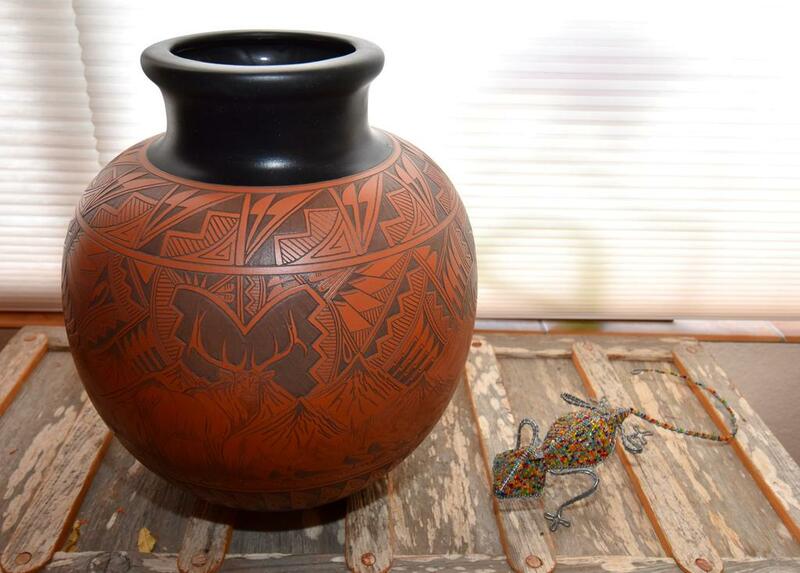 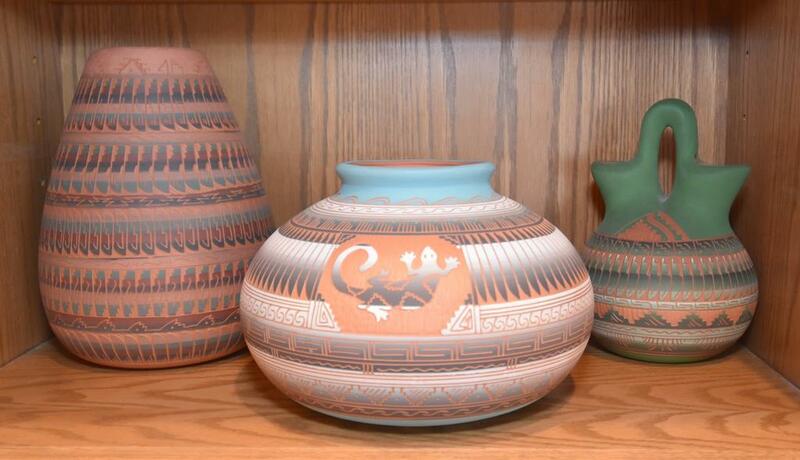 Inlaid Wood Art, Navajo Pottery, Gourd Art, Acoma Pottery, Mata Ortiz Pottery, Geodes, Antique Trunk, Sculptures and SO MUCH MORE! 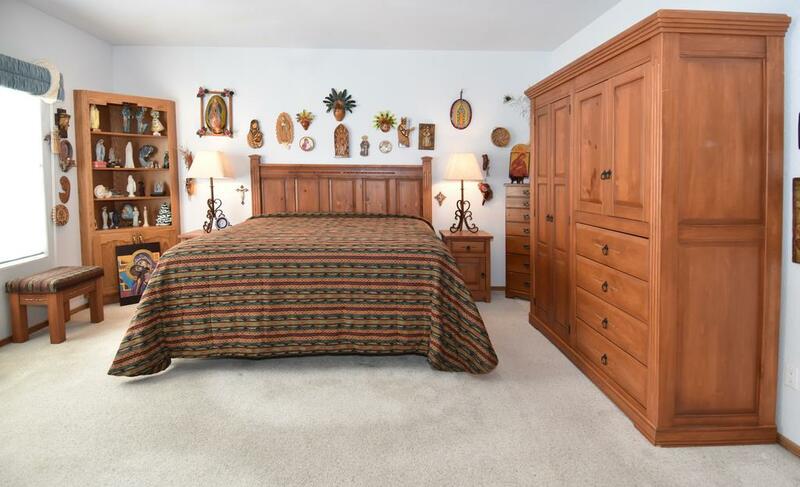 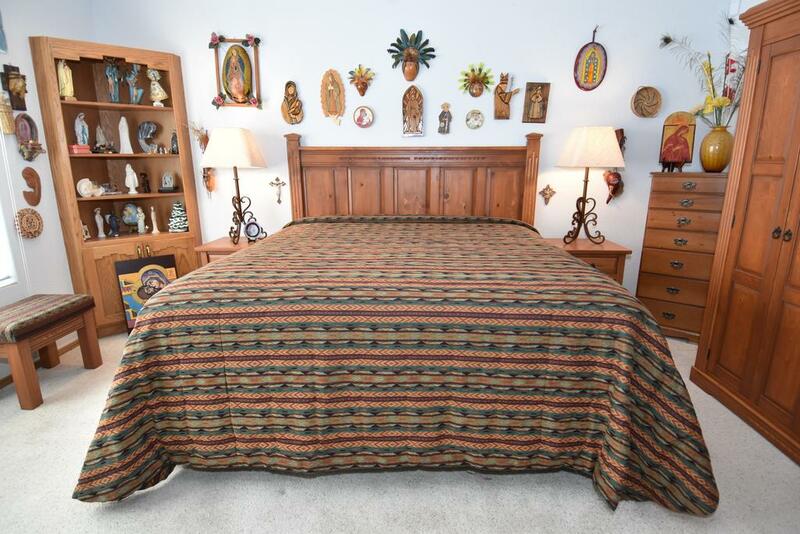 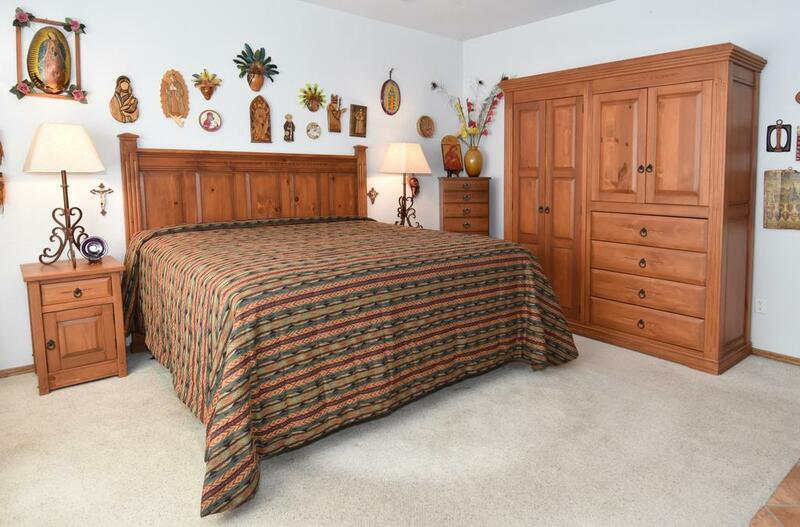 Bedroom - Custom Carved Southwest King Bedroom Suite, Queen Size Adjustable Bed with Wrought Iron Headboard, Lexington Dresser and More! 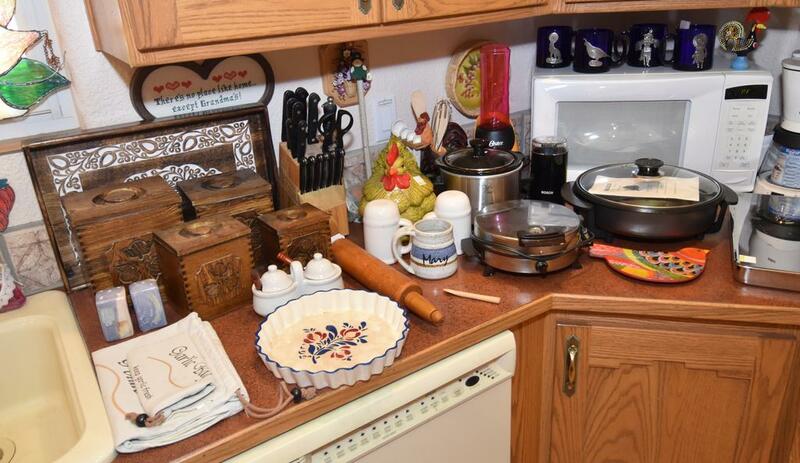 PLUS - Delta Bench Band Saw, Hand & Power Tools, Toolboxes, Vintage Camping Gear and More!